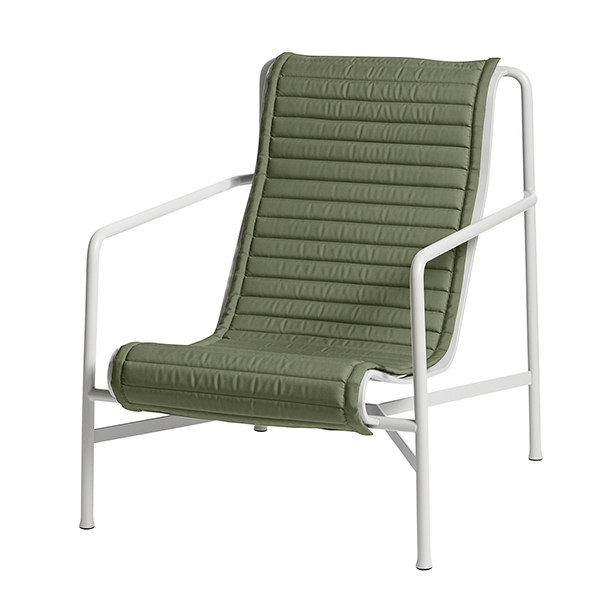 This Quilted cushion suits Hay’s high Palissade lounge chair. 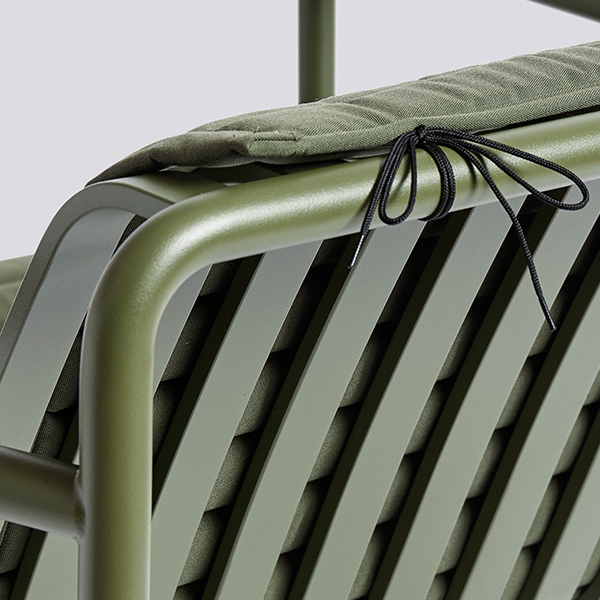 The padded cushion is upholstered with water-resistant awning fabric and features straps for securing it to the seat. 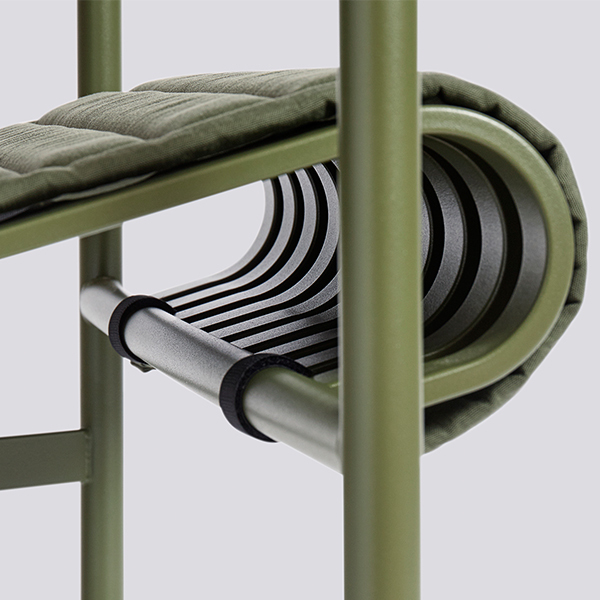 What’s more, the ties can also be used to roll up the cushion when not in use.